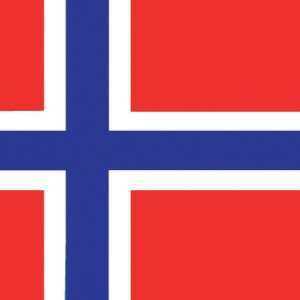 This week, four opposition political parties in Norway have collaborated on and created a voting plurality for a series of measures that will likely block all online gambling operators, excepting the country’s own state-operated gambling entity, Norsk Tipping, from offering their services to Norwegian citizens. News of the upcoming blacklisting and the creation of a virtual online monopoly for Norsk Tipping was broken this week by the Norwegian tabloid Verdens Gang, via its popular VG.no online hub. 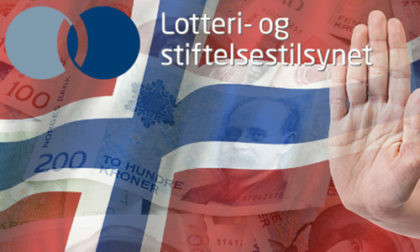 The leaders of four political parties in the Storting, Norway’s Grand Assembly, have collaborated to form a majority and push the online gambling-blocking measure through, to an expected adoption by Norway’s Parliament next month. According to the Norwegian reports, the leaders of four opposition parties, Norway’s Labor Party, Christian People’s Party, Socialist Left Party, and Center Party collaborated on eight “concrete measures,” to be enacted in the Storting’s Parliamentary and Cultural Committee. Six of the eight measures were already approved in Storting negotiations, and the remaining two may also be approved by May 7, when the provisions regarding online gambling are slated for formal adoption. Give the Lottery Authority extended powers of attorney to impose infringement charges on violations of the Money Market Promotion Act and expand investigations of alleged violations. The website blocking of sites belonging to foreign gaming operators will create the de facto ban on online poker, since Norsk Tipping does not offer any poker services. The approved blacklisting of foreign operators is likely to be softened slightly, to apply to domain names and not specific IP addresses. This means that major European licensed operators could, technically, evade the blacklisting by frequently switching IP addresses for their home sites and gaming servers, but that’s not likely. Most prominent operators are bound by their white-label licensing approvals in other major jurisdictions to not participate in such activities. Instead, companies now open to Norway will have to fight an uphill battle in the Norwegian court system should they hope to remain open to the country’s players. Whack-a-mole blacklisting games aside, Norway appears destined to become another country in the United States / Australia mode, where online poker players and other gamblers can probably find a way to play on unregulated sites if they choose. They’ll likely be locked out of major Euro brands as soon as the blacklisting goes into effect. The passing of the proposals represents a defeat for Norway’s Minister of Culture, Trine Skei Grande, who instead has championed a scheme for licensing of private operators similar to that found in most other European jurisdictions. “I am very pleased that we have received a majority for many of our proposals. It’s big that the opposition sees the value of tightening gaming policy in Norway by making it more responsible,” said Geir Jørgen Bekkevold, from the Christian Peoples Party bloc in the Storting. Norway’s clampdown is one of those too-predictable developments that has followed the European Union’s Court of Justice (CJEU) decision last December to no longer pursue infringement cases against EU countries that involve the blocking of cross-border online gambling services provided by operators licensed elsewhere in the EU. It’s been open season in several of Europe’s more protectionist countries ever since, with the real goals of the countries usually not to protect problem gamblers, but to funnel more revenue into state-run lottery operations.